Review of "Uncovering English-Medium-Instruction: Glocal Issues in Higher Education"
How many academic vocabularies do students need? The sermon as audience challenge? Investigating vocabulary in contemporary English preaching. To what extent do L2 students in UK Higher Education acquire academic and subject-specific vocabulary incidentally? Books in English, lecture in Swedish: How well does it work? World Englishes, biology terms and academic vocabulary: how level is the playing field? 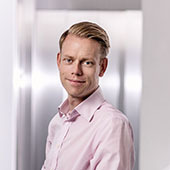 Det kan finnas fler projekt där Hans Malmström medverkar, men du måste vara inloggad som anställd på Chalmers för att kunna se dem.